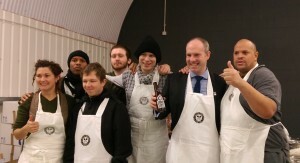 Ignition is a vibrant, south London brewery which employs and trains people with learning disabilities to brew great beer. 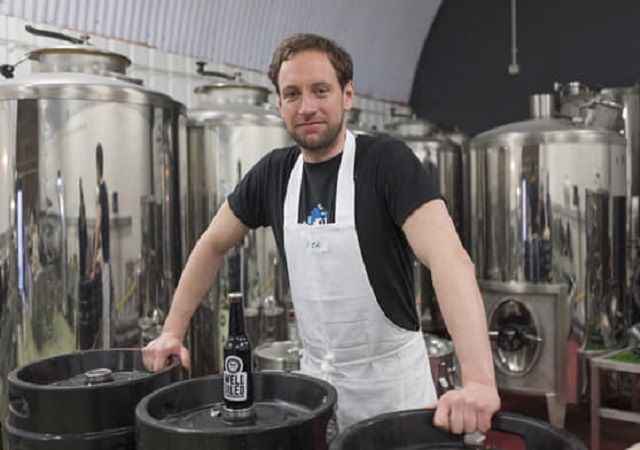 Nick is an economist and founded the brewery in 2015 as a not for profit organisation with the mission to employ people with learning disabilities and showcase their many talents. After volunteering for Lewisham Mencap’s Tuesday Club for over 15 years he decided to start his own social venture, helping those with a learning disability into employment. Nick volunteers at Tuesday Club – a disco for 250 people with both learning disabilities and amazing dance moves – where it became obvious to him that club members had potential which was being overlooked by prospective employers. So he decided to create his own company and employ them himself. The ethos at Ignition Brewery is simple: The team have a lot to offer and with the right support and care, they can make beer that competes on the open market and satisfies the thirst of any customer! The journey to deliver this in practice has been complex: trying to convince the social care sector to support the development of the company, whilst creating beers that can survive in the London Market has been tricky and required more resilience and ‘bloody-mindedness’ than Nick ever thought would be needed. Nick will share what it takes to have a new idea and implement it. How to maintain composure and hope, whilst resisting a fridge full of beer. Nick O’Shea is the Founder of Ignition Brewery. Ignition is a vibrant, south London brewery which employs and trains people with learning disabilities to brew great beer. Nick shared what it takes to have a new idea and implement it. How to maintain composure and hope, whilst resisting a fridge full of beer.